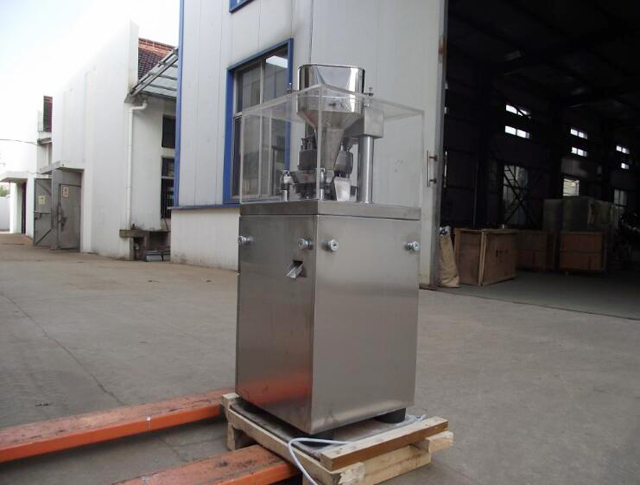 At present, numerous industries are involved in the production of powder/granule into various solid shapes and forms, for reasons of upgrading quality, production efficiency, and lot. 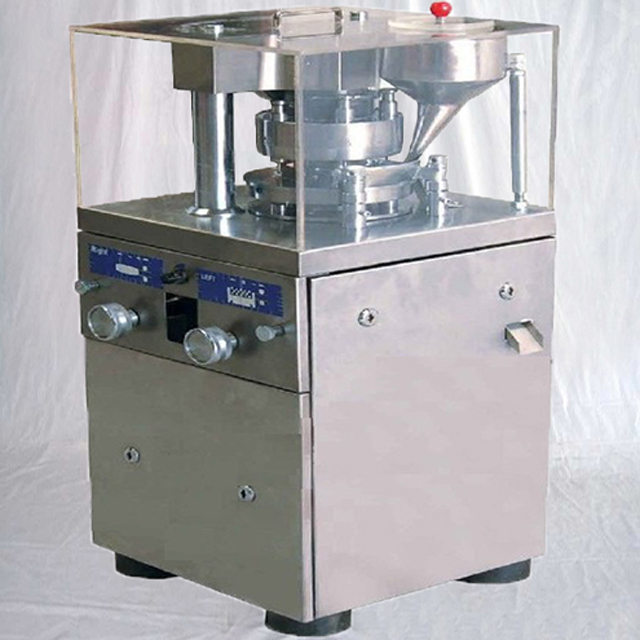 "Tablet Press" realizes to make tablets/pellets from powder by compression. There are 2 types of press machines, "Eccentric type press" and "Rotary press". Nowadays, "Rotary Press" is much popular in the industries, because it facilitates High Production performance with narrow weight variation. Also "Tableting Automation system" is designed with "Dedicated ancillary equipments". 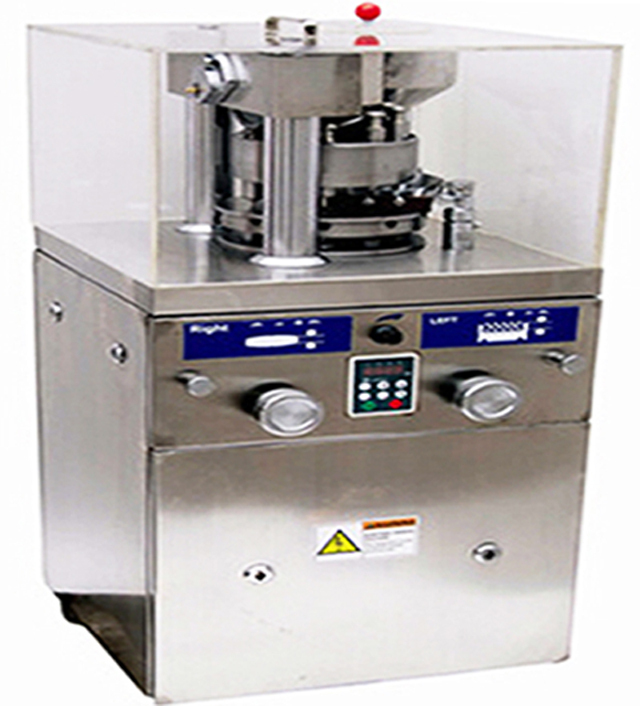 "Rotary Press" has been called "Tablet press", because it is very popular in Pharmaceutical industory. "Rotary Press" has a turret, on which lots of tooling (Punches and Dies) are installed. The press handles 3 processes in production, "Powder Filling" "Compression" "Tablet discharge" continuously while the turret is in motion. That is to say, powder is filled to die from the top of the machine. Powder is automatically, by simple mechanic, filled into die bore and pressed into the correct form. Formed products are discharged to outside with knock-off finger. Major controls and the one-shot lubrication system are easily accessed through the hinged front and rear panels. Since there are no moving parts in this area these are not interlocked, therefore adjustments can be carried out safely while the machine is in operation. All major lubrication points are served by the one-shot lubrication system. Oil cups are provided wherever continuous lubrication is required. Effectively, the safety valve of the machine, this is fitted to the lower pressure roll. 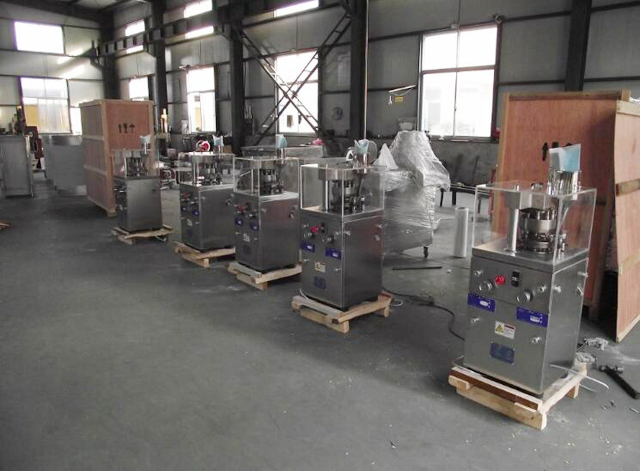 The overload pressure release should always be set to relieve the pressure with minimum effort consistent with the diameter and hardness of the tablets being made. Adjustments are easily made from the lower cabinet. 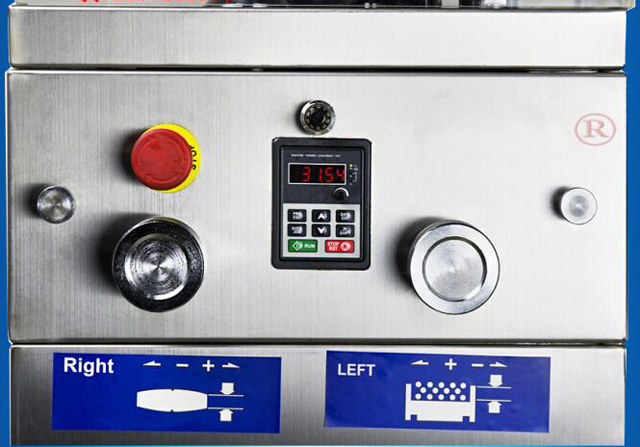 Serious damage to both the machine and the punches can be prevented through proper use and maintenance of this system. Any appreciable motor overload that may occur due to tight punches etc. is indicated on an ammeter fitted to the control panel. The average amperage in normal running (tableting) condition is to be noted. Any increase in this average should be immediately investigated.